Identifying state or corporate-sponsored agents within a movement for social and political change is invariably difficult and traumatic for those involved. A World to Win investigates. Any organisation or group which sets out to oppose or change some aspect of the status quo must perforce rely on the goodwill and honest motivation of their fellow activists. To suspect that your comrades are not what they appear to be, that they could be deliberately working to disrupt the very same cause they are involved in, is a monstrous thought because, if true, it must involve a deliberate betrayal of trust. And yet, the existence of such people should not come as the slightest surprise. From the earliest human history, undercover spies and agents provocateurs have been deployed by those wielding state power to destroy their enemies. Elizabeth I, for example, had a ruthless spymaster in Sir Francis Walsingham. He ran a network of “intelligencers” and was a master at entrapment, including that of the ill-fated Mary Queen of Scots. Some 300 years later, the first Special Branch in the world was set up in London in 1882. Ostensibly created to counteract Irish nationalism, it quickly developed into a secret police unit aimed at the trade unions and left-wing parties. And so it continues. Some of the information pieced together in Guardian journalists Rob Evans and Paul Lewis’ invaluable book, Undercover, reached the public prior to publication via television, websites, and articles. And as early as February 2013, blogger “Bristle” listed some 12 officers identified as having infiltrated protest groups. On July 25, the Network for Police Monitoring (NETPOL), followed by Indymedia, outed yet another undercover policeman working for the (now disbanded) Special Demonstration Squad, one Jason Bishop. Undercover focuses on the Special Demonstration Squad (SDS), which was set up in 1968. This, as Evans and Lewis recount in somewhat awestruck tones, was the brainchild of Special Branch chief inspector Conrad Dixon. His proposal to set up a dedicated unit of undercover agents was enthusiastically, supported by then Labour prime minister, Harold Wilson. The timing of the launch of the SDS was significant. This was a time when, as Dixon warned fellow Scotland Yard officers, some people were trying to achieve a “revolutionary change in the society in which we live”. Militant trade union leaders led sustained strikes and anti-Vietnam war demonstrations spiralled out of control. Consequently, according to ex-MI5 officer Annie Machon, “MI5 used to argue that all members of certain parties ... were threats to the security of the state or our democratic system”, despite the fact that they were using “legitimate democratic methods to make their case”. Included in her list of organisations was the whole spectrum of left-wing, Trotskyist and anarchist groups, including the Socialist Workers Party and the Workers Revolutionary Party. Labour home secretary Merlyn Rees: "to collect information on those who I think cause problems for the state"
The brief under Labour home secretary Merlyn Rees was “to collect information on those who I think cause problems for the state”. The real purpose of the new squad – which also became known as the Hairies or Scruffy Squad – would be to infiltrate political activists of all kinds in order to report back on their activities to their MI5 and Special Branch controllers. The Special Branch which spawned the SDS, expanded hugely, from 225 officers in the early 1960s to 1,600 by 1978. By the 1990s however, the nature of political dissent had changed from trade union strikes and actions to ecological and anti-capitalist protests. “There was no apparent rise in the threat from radical politics,” the authors note. Under New Labour, the secret units morphed and mushroomed. Thus, “three years after Tony Blair’s New Labour government [came to power], there was an unprecedented increase in the undercover infiltration of political activists”, Evans and Lewis note. While the SDS continued to operate, a second squad was created in 1999, called the National Public Order Intelligence Unit (NPOIU). In contrast to the SDS, which was part of the Met’s Special Branch focused on London, the NPOIU did its spying around the country. The NPOIU’s new head, Barry Moss, invented what the authors, referencing the famous dystopian novel 1984, rightly call an “Orwellian” phrase: domestic extremism. “Domestic extremists, police decided, were those who wanted to ‘prevent something happening or change legislation or domestic policy, often doing so outside the normal democratic process’,” the authors note. Under Labour home secretary Jack Straw, the NPOIU was to receive over £30m in public funds, allowing it to expand to 70, far larger than the SDS. The NPOIU spent huge amounts of public money on surveillance of so-called extremists. These included 69-year-old Dr Peter Harbour who wanted to protect a local beauty spot near Didcot Power station. By 2002 the number of Special Branch operatives had grown to 4,247, according to civil liberties group Statewatch. In 2004, a new branch was set up, the National Extremism Coordination unit, “following lobbying by big corporations”, according to its former head, superintendent Steve Pearl. A third squad, the National Domestic Extremism Team, was formed in 2005. In 2006, the historic and often notorious Special Branch (or SO12) of the Metropolitan police was merged with the Anti-Terrorist Branch (SO13) to form the new Metropolitan Police Service Counter Terrorism Command (SO15). And in 2008, after a forty-year existence, the SDS was superseded by the National Public Order Intelligence Unit. Evans and Lewis believe that there were between 100 and 150 covert officers in the SDS and the NPOIU altogether. As NETPOL notes: “Instead of shutting down an operation [the SDS] which should have been buried decades ago, the surveillance of dissent has simply been restructured”. Most disturbing is what happened next: all the new units were brought together under the direction of the Association of Chief Police Officers. Despite ACPO receiving funds from the Home Office and police authorities around the country, it has been a private limited company since 1997 and does not have to comply with the Freedom of Information Act or democratic scrutiny. The detailed functioning of the SDS and finally its exposure, is the backbone of this book. Despite an often confusingly meandering and anecdotal approach, the authors provide detailed information about the scale, tactics, psychology, strengths and weaknesses of state surveillance and provocation. The exposure of state agents on this scale is a real achievement. The authors are the first to give credit to the dogged efforts of women on whom the undercover agents preyed. These included anti-McDonald’s campaigner Helen Steel. When her boyfriend John Barker (aka Sergeant John Dines) vanished in 1992, Steel spent 10 years trying to find him. Her detective work led her to discover that he had assumed the identity of a dead child. Steel’s efforts were continuously tracked by the SDS handlers at Scotland Yard, thanks to a covert alerting system. As she came closer and closer to finding him in New Zealand, they relocated Dines to another country. Another agent, Jim Sutton (aka PC Andrew Boyling) actually confessed to his activist girl friend that he was a policeman. He spilled quite a few beans to her about the way that SDS kept up their fictional selves. “He said it was great because it was being like God. He knew everyone’s secrets on both sides and got to decide what to tell who and decide upon people’s fate,” she told the authors. In the case of Bob Robinson (aka Detective Inspector Bob Lambert, aka Dr Robert Lambert), in the end it was the feeling that he had become untouchable that proved his undoing. Lambert was not only a spycop, but a senior spymaster within SDS, responsible for training and handling agents. But he was to break the very rules he had laid down. After helping to set up and run the Muslim Contact Unit between 2002 and 2007, he transformed himself into an academic without revealing his murky past. He became so respectable that he wrote for a range of liberal publications in addition to holding posts at St Andrew’s and Exeter universities. In October 2011, Lambert was outed while speaking at a conference organised by the south-east region of the TUC. 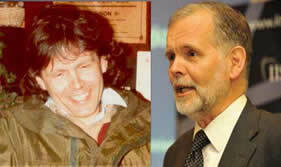 Somewhat astonishingly, he went on to become an advisor to OpenSecurity, (part of OpenDemocracy). He retained that post during the whole of 2012. OpenSecurity has never fully explained how this happened, despite sharp reactions a-propos Merrick Badger's article on their website. Even more strangely, a rearguard defence of Lambert is currently being conducted by the Islamophobia website. This site is operated by one Bob Pitt, who specialises in attacks on those who have written about the Workers Revolutionary Party and its leader Gerry Healy. The WRP came under sustained state penetration, which reached its high point during a catastrophic split in the party in 1985. The story of Pete Black (real name Peter Francis), the SDS agent interviewed on Channel Four Dispatches and who gave considerable help to the authors, detailed how Special Branch and SDS worked in tandem in the early 1990s. They infiltrated Youth Against Racism in Europe (YRE) and followed its members to Germany. He estimates that Special Branch kept files on around 100 member of Militant and other anti-racist campaigners at this time. In a weird incident of intra-agency rivalry, Black recounts, he became suspicious of one man he believed was an MI5 agent who Black thought was not doing his job well enough and stood out like a sore thumb. Black threatened to expose him to Militant if he was not withdrawn. The well-known epic case of anti-McDonald’s campaigners, Helen Steel and Dave Morris, is if anything even stranger. In England’s longest-ever civil court case, these two were prosecuted for distributing an allegedly anti-McDonald’s flyer. They were not to know that one of the co-authors was SDS spy Lambert. 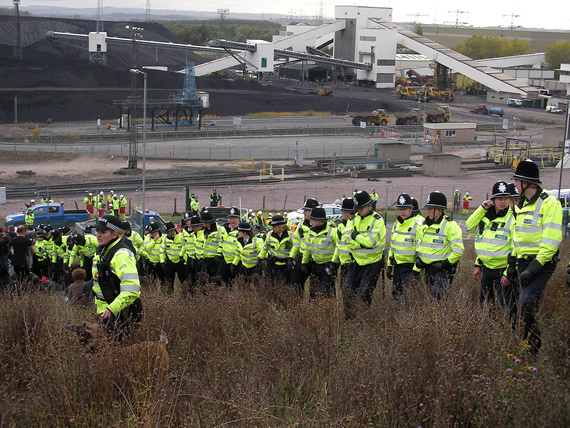 Although London Greenpeace, of which Steel and Morris were members, never numbered more than 20, the SDS sent in a second agent. In addition, McDonald’s hired seven corporate spies through two detective agencies. At some meetings there were thus more spooks than genuine members. In most of these stories, a sordid pattern emerges. The systematic and damaging exploitation and psychological abuse of female activists in particular is now the subject of a legal case by a number of women. The career of Robinson-Lambert shows how SDS agents hitched up with women in order to give themselves credibility within a political group – in this case the animal rights movement during the mid 1980s. “One of the hardest challenges for covert officers is turning up out of the blue without friends or family to vouch for them. They arrive in their late 20s or 30s with sometimes feeble excuses for their sudden interest in politics,” Evans and Lewis note. The way in which undercover police spies such as Mark Stone (real name Mark Kennedy), Bob Robinson (Bob Lambert), John Barker (John Dines) inveigled themselves into the confidence – and beds – of activists was undoubtedly repulsive. The exploitation of vulnerable women was par for the course as far as these spycops and their controllers. 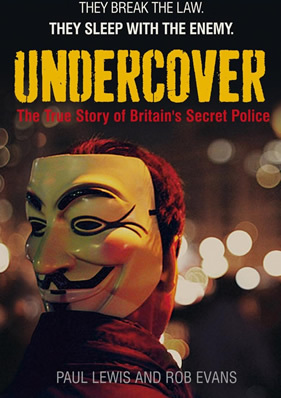 Undercover shows that those living double lives caused emotional havoc and demoralisation not only amongst innocent people and their organisations, but also amongst the spooks themselves. Many had to be retired early through engineered “exit strategies”. Peter Francis was the only one, however, who like US whistleblower Edward Snowden, courageously broke cover out of moral disgust. Black’s defection was largely due to his unease with the Met's efforts to smear Stephen Lawrence’s friend Duwayne Brooks. 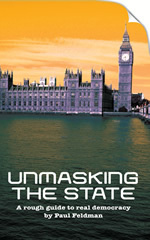 The book reveals the extent to which the state is prepared to go to run its agents and keep them in place and how vast public resources are devoted by successive governments to infiltrate and spy upon and frame-up dozens of individuals. At present the security service yearly budget runs at £2.1 billion. How much of that goes to the spy agency MI5 is not disclosed – “for security reasons”. Agents, such as Mark Kennedy, had access to credit cards and virtually unlimited cash – £250,000 per year – to fund not only their activist alibis but also their globetrotting comfortable personal lifestyles. And to what end? To entrap genuine ecological campaigners and arrest people who were trying to prevent fossil fuels being burned which are contributing to global warming. The operation of the SDS unit in its original incarnation is over, but the state has simply re-shaped it into new forms, the chief of which is “anti-terror” squads of various descriptions. This book details only the small number of undercover cops who have so far been exposed, gone native or decided to break cover. But the process is still unravelling as Peter Francis’ latest revelations demonstrate. If the secret state deployed such huge resources to spy and entrap people who on the whole were not carrying out illegal actions in the last 20 years, what is it doing today, for example, to subvert the legitimate struggle against gas fracking? And in the case of serious actions against the state and corporate interests, doesn’t the resistance of local people and campaigners against the expansion of the air transport industry and corporate state-backed fracking have a greater legitimacy than that of the state forces trying to entrap them? Where this must-read book falls down is its failure to set the activities of the secret police into the context of the state as a whole. MI5, Special Branch and its numerous successors are part of a complex of state institutions that includes the political system, government, the monarchy, the civil service and various agencies that uphold the status quo. They exist to preserve and defend a state that wields power on behalf of corporate and financial interests. This has always been the primary role of the capitalist state. By prising out and piecing together some of the jigsaw pieces, we have gained a clearer picture of one segment of the state’s secret activities. And the more we learn, the more apparent it becomes that the time has come to deconstruct the present state as a whole and replace it with an open, democratic, people-centred process.